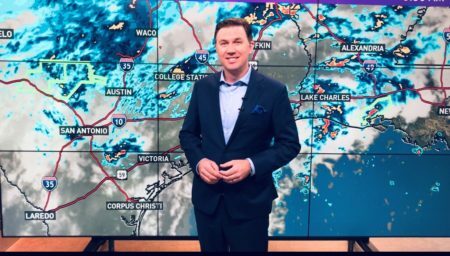 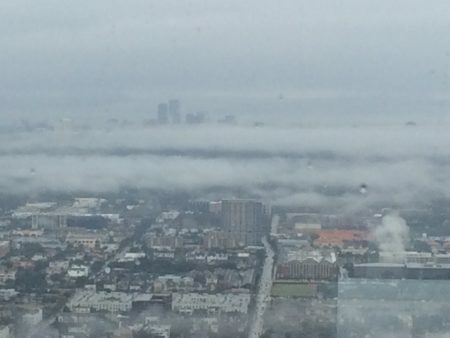 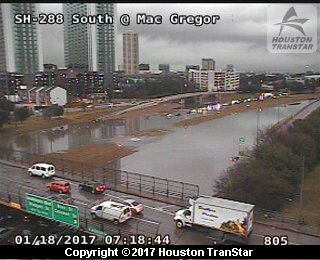 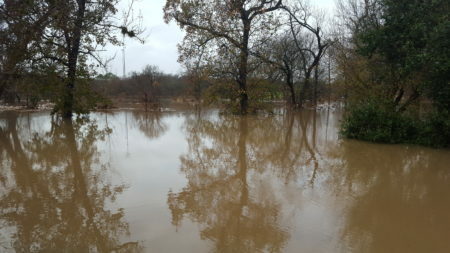 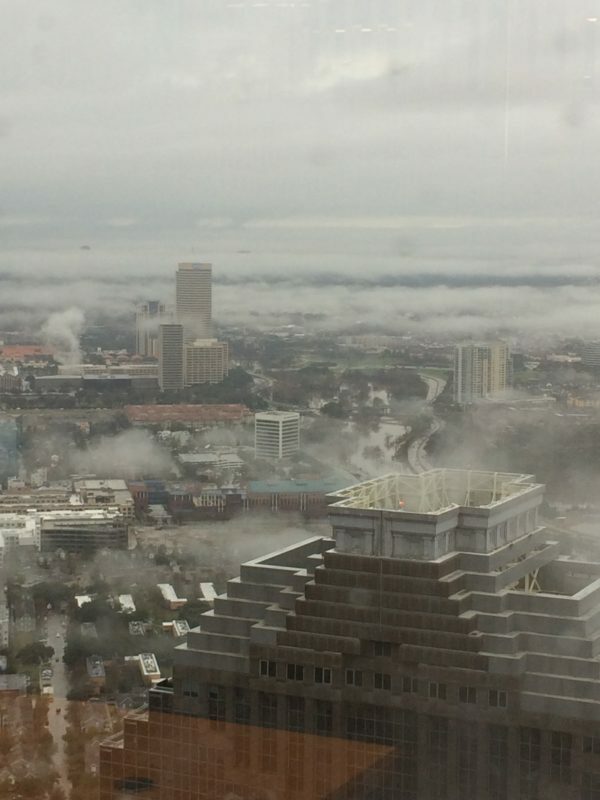 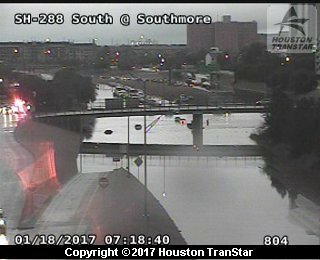 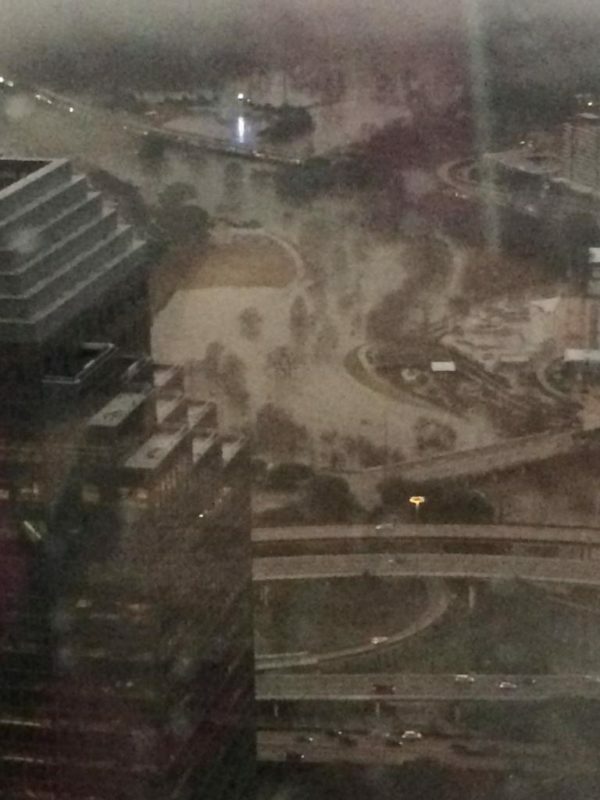 Severe thunderstorms produced heavy rain and flooding across the Greater Houston area Wednesday morning. 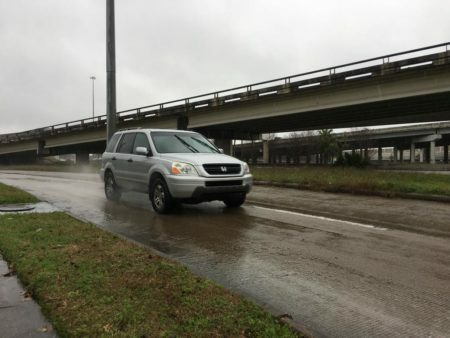 The National Weather Service issued a Flash Flood Warning for western Harris County, northern Fort Bend County and northeastern Wharton County as thunderstorms produced heavy rain and flooding across the Greater Houston area Wednesday morning. 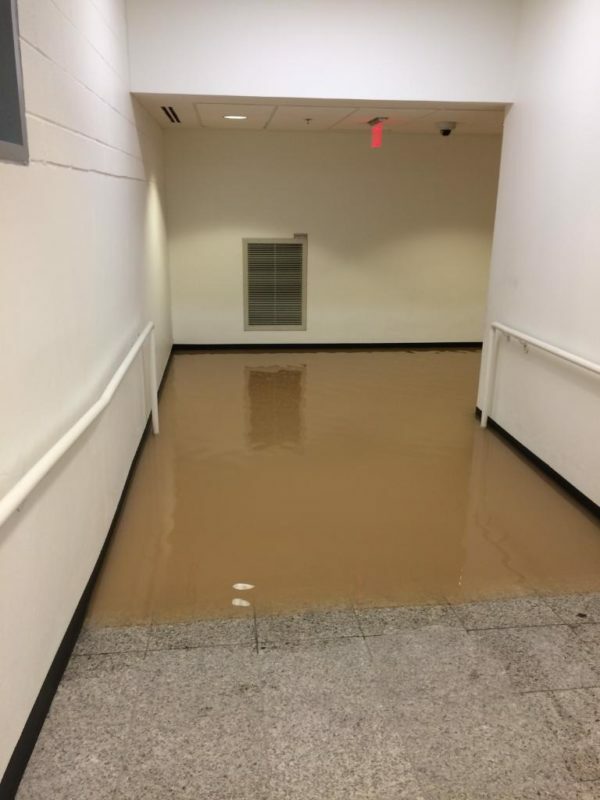 The Flash Flood Warning was in effect until 10:15 a.m. 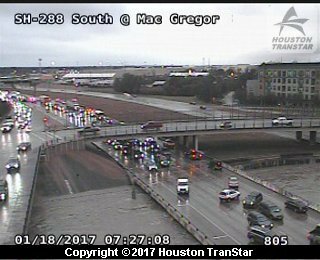 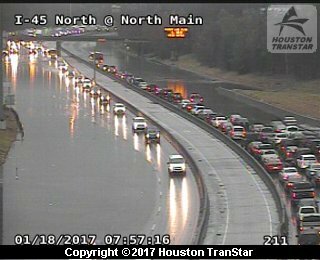 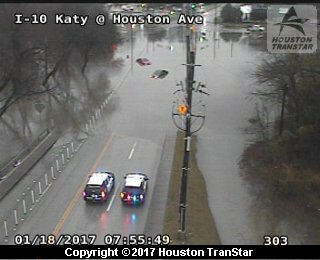 The National Weather Service also issued a flood warning for Keegans Bayou at Highway 59 in southwest Houston. 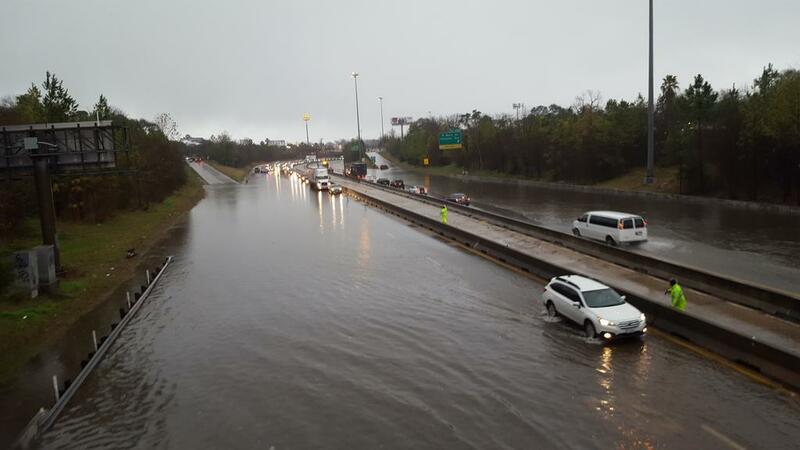 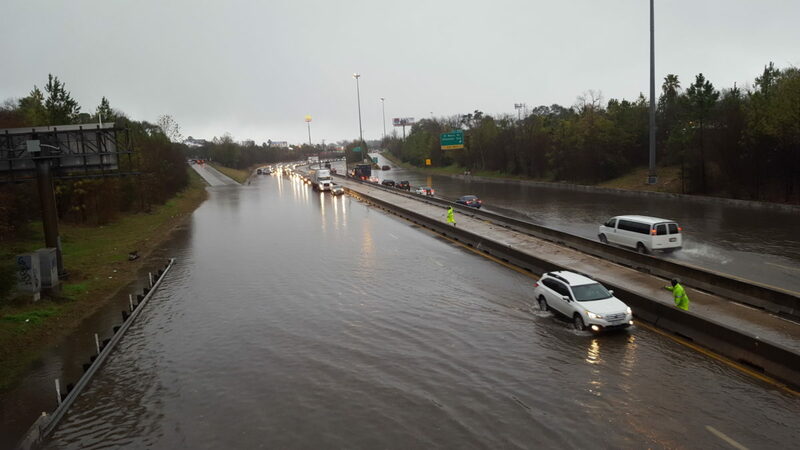 The weather service reported 4 to 6 inches of rain fell between 1:30 a.m. and 7:30 a.m.
Thirty-seven high water locations were reported across Houston as of 9 a.m. Metro said high water shut down HOV Lanes and rail operations, except the Purple Line. 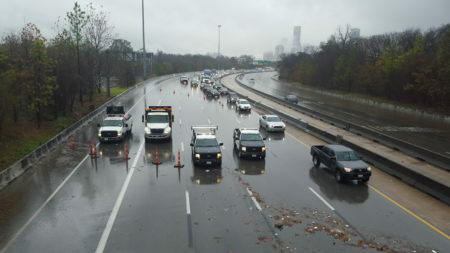 Metro also reported that some buses had been detoured. 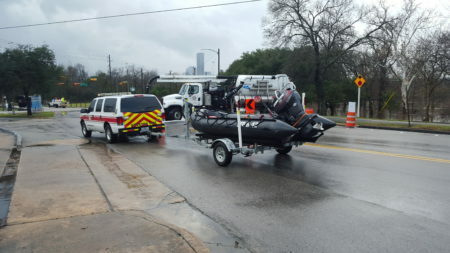 The Houston Fire Department reported over 65 water rescue calls since early Wednesday morning, mostly from residents whose vehicles were flooded on roadways across Houston, according to the city. 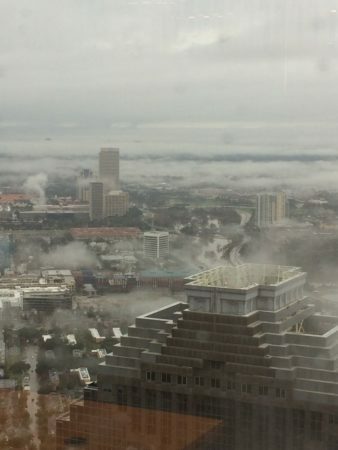 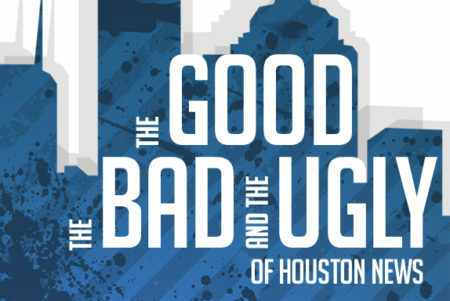 Locations expected to experience flooding included Sugar Land, northwestern Missouri City, Rosenberg, Stafford, Bellaire, Humble, West University Place, Katy, Richmond, Jacinto City, Hunters Creek Village, Bunker Hill Village, Piney Point Village, the Astrodome Area, Spring Valley, Greater Fifth Ward, Spring Branch West, Neartown/Montrose, Second Ward and Near Northside Houston. 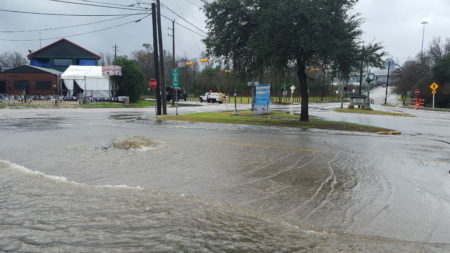 Additional rainfall amounts of 1 to 2 inches were possible in the warned areas, the weather service said. 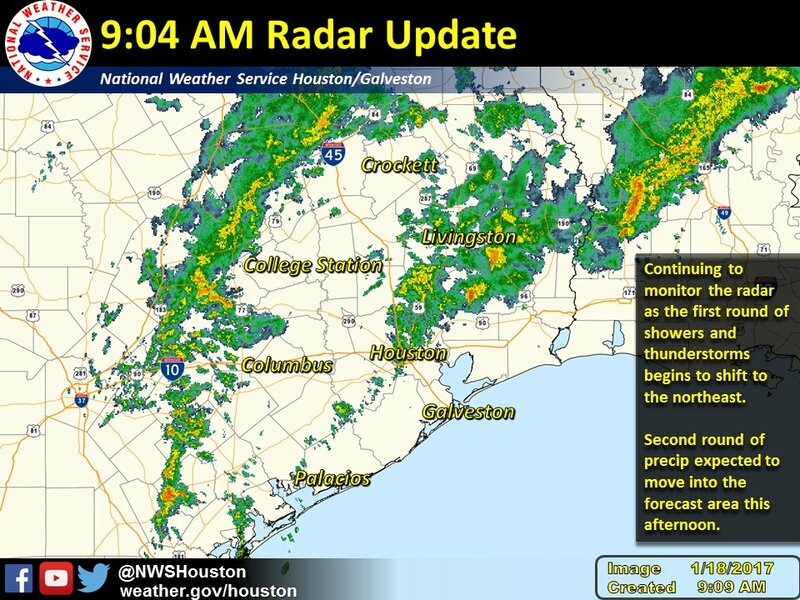 A second round of rain was expected in the afternoon hours as the first round began to shift to the northeast. 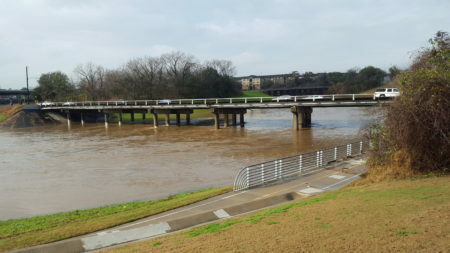 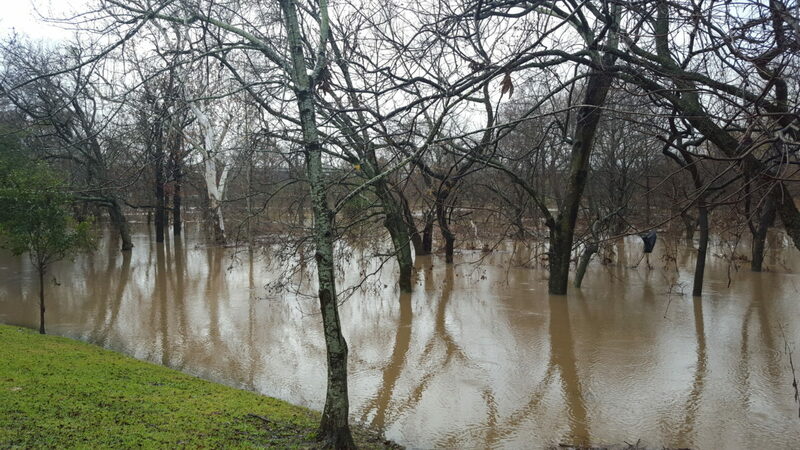 Residents were urged to avoid bayous, streams and creeks, and to delay traveling until the threat passed. 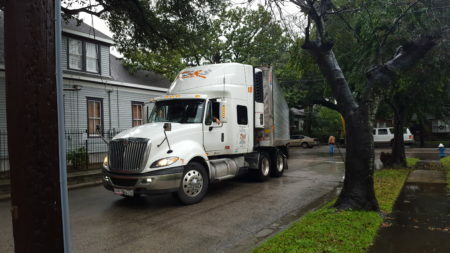 The Houston Independent School district announced a two-hour delayed opening due to flooding, but asked employees to arrive as usual if possible. 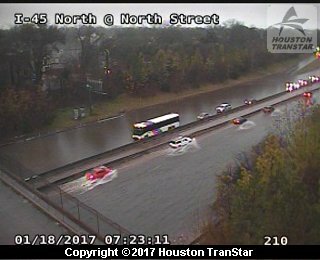 Fort Bend ISD delayed school openings and bus service for two hours due to the weather conditions. 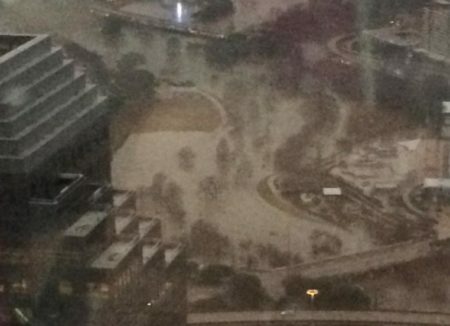 Texas Woman’s Houston University campus delayed classes until noon. 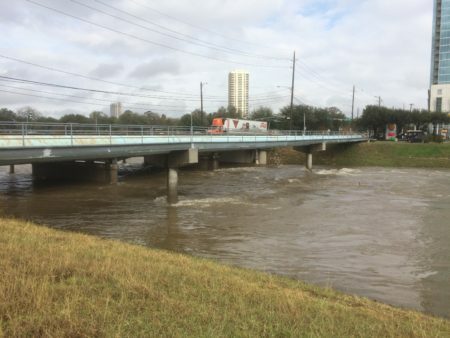 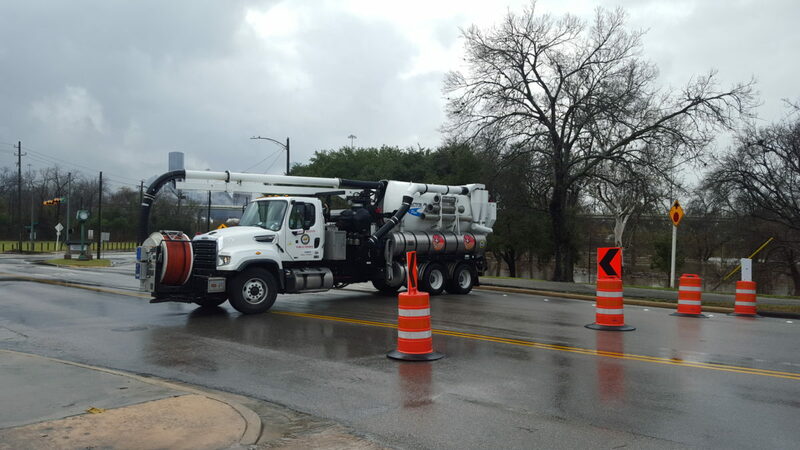 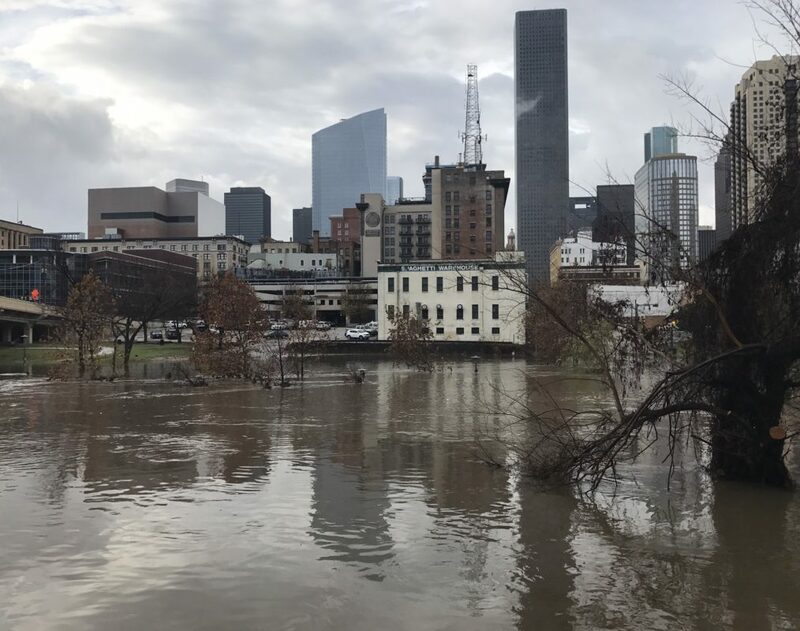 Houston Community College, Texas Southern University and The University of Texas Health Science Center at Houston delayed opening until 10 a.m. Episcopal High School in Bellaire and the Presbyterian School of Houston announced closures for the day. 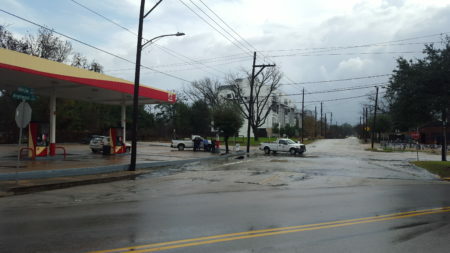 National Weather Service Houston/Galveston forecast updates: weather.gov/houston. 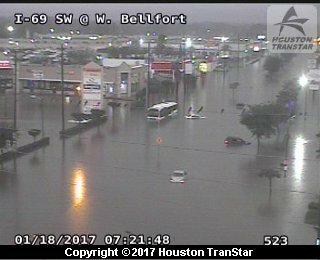 City of Houston Emergency Information Site: houstontx.gov/emergency.